The single leg dumbbell press on the Bosu is an intermediate compound exercise. 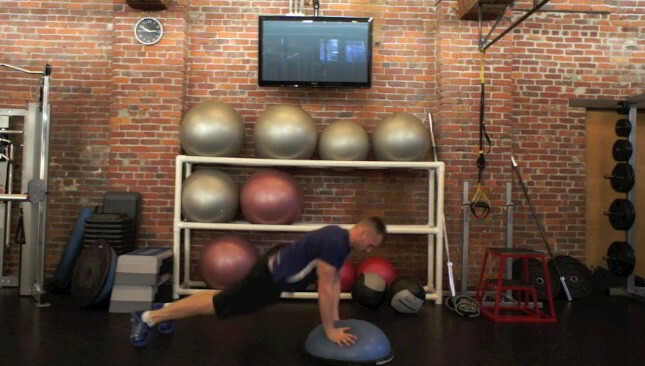 This is a challenging exercise that targets the hamstrings, shoulders and core. 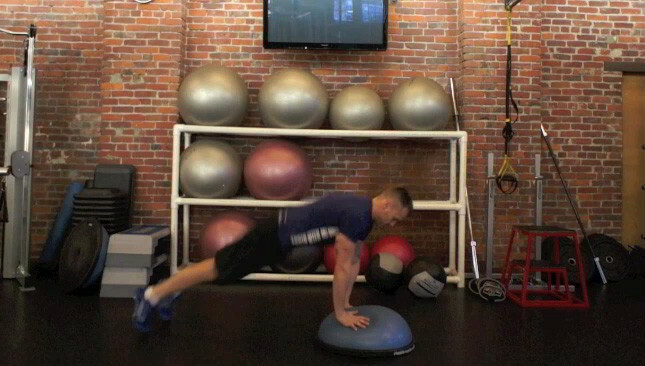 The Bosu side plank with dumbbell reverse fly is a challenging intermediate exercise. This exercise requires core strength and balance and is suitable for intermediate to advanced fitness levels. 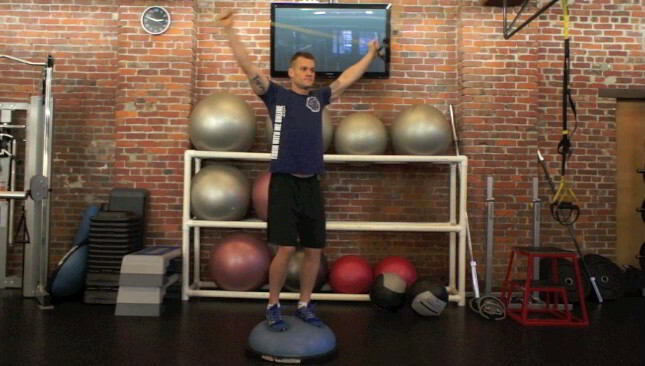 The dumbbell raise on the Bosu is an intermediate upper body exercise. This is a challenging exercise that targets the shoulders, core and legs.